So it has now been a whole 20 years for me in Petts Wood at Face & Body Clinic. Myself, and my therapists’ education and knowledge are key to serving our clients. We specialise in anti-ageing and advanced skin therapy and are renowned for our tailor-made treatments to achieve maximum results. My passion for results and client happiness/satisfaction is forefront, and together with my solid team, we strive for excellence in customer service. Our team are highly experienced and qualified. We specialise in anti-aging, wrinkles, acne plus other skin concerns and offer you a skin consultation to ensure the best results driven treatment from Spray tanning, lashes, waxing and of course our fantastic range of nail treatments plus more.. we are here to offer you more in your beauty regime. Face & Body Clinic has been established since 1996 and is owned by Katy Hallam. 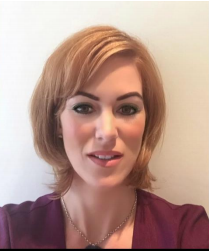 Katy is an advanced Skin Specialist and carries out advanced treatments to ensure you look and feel amazing. She is a hands on practitioner who incorporates her holistic approach with each client. She is an expert in skin tag removal, mole removal and electrolysis. 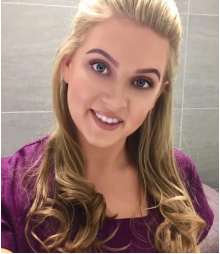 Her favourite treatment for herself is back massage followed by an intense facial fusion treatment Katy leads a team of professional therapists, skin specialists and doctors. 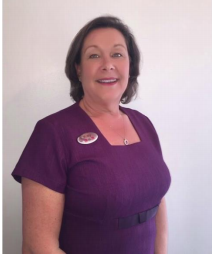 Kay has been with us since 2009 and is a caring and bubbly receptionist. Although now retired, Kay pops in to help us and we love seeing her. She makes sure that our clients are always happy and our team thoroughly enjoy her positive energy. Kay’s favourite treatment is a one of our specialist facials. Diane has been with us since 2016. She used to be one of our clients and regularly booked in for LVL Lashes and OPI gel nails. Since working her, she has learnt about our amazing skincare ranges and says she now feels 10 years younger! Diane’s favourite treatment for herself is a facial. Helen has been with us since 2005 and enjoys advising clients in skin care and Susan Posnick cosmetics. She always looks glamorous! Her favourite treatment for herself is a pedicure. 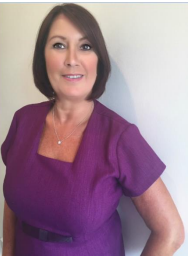 Fee is a Senior Beauty Therapist and has been with us since 2005. She thrives on knowledge and new treatments plus helping clients get the best skincare. Her speciality is advanced electrolysis and facials, achieving fantastic results. Fee’s favourite treatment for herself is a relaxing body massage. 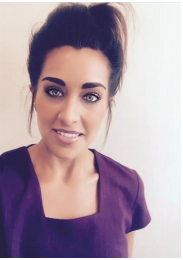 Kayleigh is a Senior Beauty Therapist and has been with us since 2011. She is extremely knowledgeable her speciality is skin tag removal, warts and thread veins plus advanced electrolysis. Kayleigh’s favourite treatment for herself is a luxury pedicure with foot massage. Chelsea is a Beauty Therapist and Foot Care Specialist. She has worked in the industry for 9 years. She is trained in all areas of beauty treatments. Experience her signature pedicure that includes a skin peel to soften hard skin plus a relaxing massage. Chelsea’s favourite treatment for herself is a body massage. Emily is a Beauty Therapist and has been here since 2007. She advises clients about new and exciting treatments. Her speciality treatment is hot wax and she has a loyal list of clients. Emily’s favourite treatment for herself is a prescription facial. 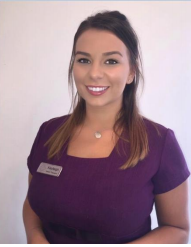 Holly is a Beauty Therapist and has been with us since 2016. Her speciality treatment is lash extensions, LVL Lashes and eyebrows. She loves helping people feel good and look good. She is also amazing with our cosmetic treatment range Susan Posnick. If you need advice on makeup, do book in. Holly’s favourite treatment for herself is LVL Lashes. 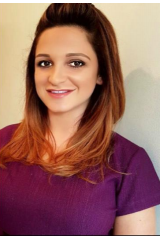 Mia is a Beauty Therapist and has been with us since 2015. 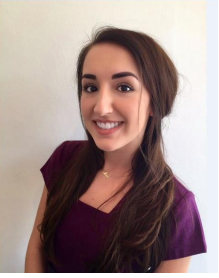 She loves her work and credits Katy for teaching her about high standard treatments. Her speciality treatment is nails and waxing as she is a perfectionist and ensures her clients always leave the salon with the best results. Mia’s favourite treatment for herself is gel nails. Dr Beata is a member of the GMC and The British Association of Cosmetic Doctors. 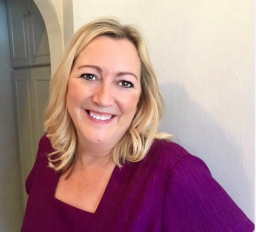 She specialises in Advanced Botox and fillers for the jawline, neck and cheeks alongside more common areas such as smile lines, glabella and forehead wrinkles. 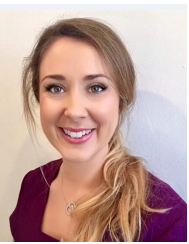 She's also skilled in the treatment of Hyperhidrosis, excessive underarm sweating, and works on highly specialised procedures to correct delicate cosmetic issues such as hollowing under the eyes, which should only ever be performed by a highly skilled practitioner with her breadth of skill and experience. Rosie is an advanced semi-permanent make-up specialist who started her company in 2011. She is a qualified Master and trainer to students who are studying semi-permanent make up. Her skills include medical micro-pigmentation to help scars, skin grafts and cleft lips. Plus camouflage micropigmentation for scars and vitiligo, lip contouring, eyebrows and eyeliner.